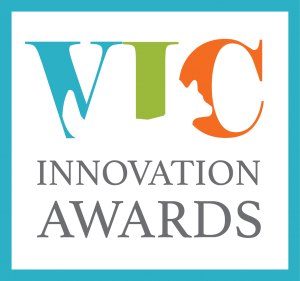 We are thrilled to announce that the Tripawds Foundation is nominated for a Veterinary Innovation Council’s Innovation Award! Cast your ballot now through September 30, 2017. Here’s how. What an honor to be nominated for the 2017 Veterinary Innovation Council’s Innovation Award! Known as the VIC Awards, this program recognizes and celebrates people and organizations who have dedicated themselves to the betterment of the animal health industry through innovations that make a difference in the lives of animals. 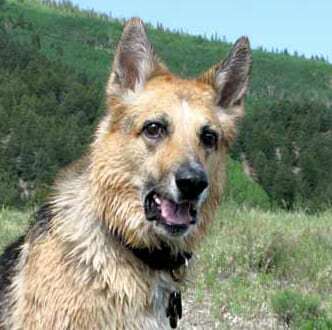 A 16-member advisory board comprised of volunteers from different areas in the veterinary community chose Tripawds Foundation for this honor. If we win a majority of votes from people with an interest in the veterinary community (that’s YOU! ), we’ll be honored with a complimentary trip to the biggest vet conference in the U.S., the Veterinary Meeting and Expo in Orlando, Florida. Winners are recognized on stage during Saturday’s general session. Just imagine, Tripawds everywhere being represented before so many veterinary industry leaders! We hope you’ll take just a second to vote for Tripawds for the 2017 VIC Awards. You only need to do it once. Just visit the VIC Awards Voting Page then scroll down to “Organization Nominees” to see the Tripawds description. Next, click the “Vote Now” button to cast your ballot. It is not mandatory to vote for nominees listed in other categories. Just scroll down to Section 5: Organization Nominee Voting and look for “Sub-Category C: Non-Profit Associations.” You will see Tripawds listed last. That’s where you vote. Then hit “Submit” and you’re done! Vote Tripawds for 2017 Vic Awards! Thanks for taking time to help us win our first major award in the veterinary community. That Pet Place Helps Tripawds Everywhere! Cool Pooch Bottles for Tripawds Supporters! Will be on it in a bit! Ok voted! Very easy! C’mon everypawdy get in on the voting! What an honor to be nominated!